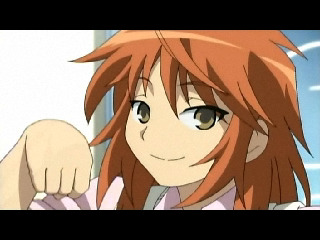 Choko wants to make and submit a video of herself doing the Neko Nyan dance, but would need a video camera. 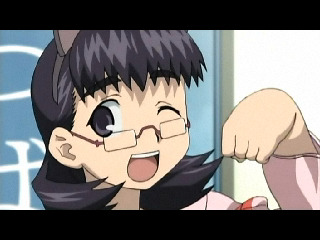 She goes to Chitose, who doesn’t have one either. 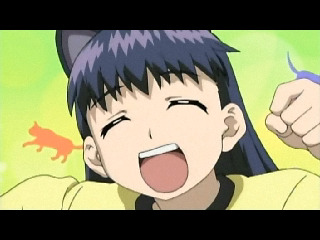 Chitose goes to take a bath and Makoto comes in to film her. 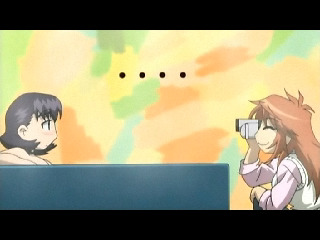 At first, Chitose is excited to have found a video camera, but then realizes what’s going on and slaps Makoto. 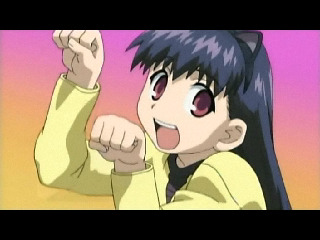 Afterwards, Makoto starts to film Choco, but her poses get progressively more perverted. Haruma puts a stop to this. Makoto then films the actual video. 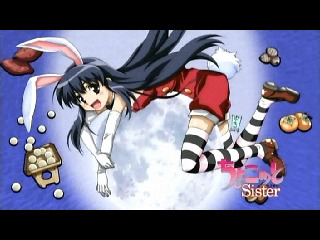 Choco and the others are excited about how it turned out, but after reading the official rules, Chitose gets worried. Five people are needed to submit a video. 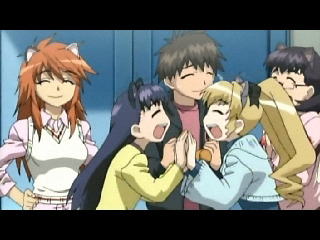 Chitose, Haruma and Makoto decide to help, but that’s still only four people. 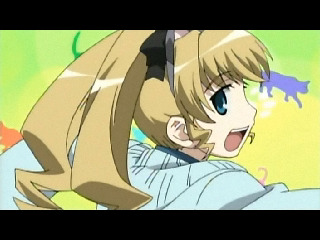 The next day, Choco faces Yurika on the playground, asking her to do the dance as well. 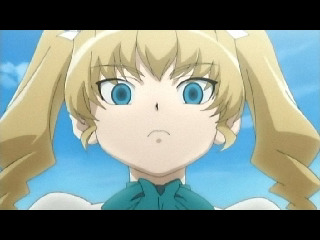 Yurika just glares at her angrily, eventually refusing. While Choco pleads to her, Kakeru walks by, noticing them. Both Kakeru and Yurika freak out upon seeing each other. Kakeru asks what they’re talking about and so Choco explains. Yurika is still very against the idea of doing it. 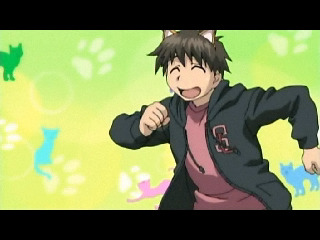 Kakeru starts to fantasize about seeing Choco wearing Nekomimi. 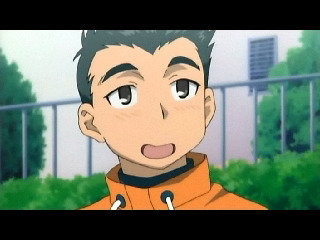 Seeing Kakeru’s approval of this, Yurika accepts, making Choco very happy. 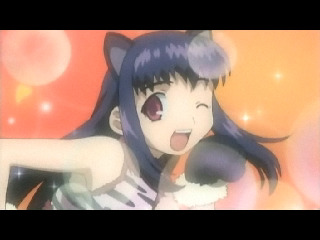 Yurika does the dance for Choco and Kakeru. She seems to know it rather well. ^_^ Choco goes to get the camera, leaving Yurika alone with Kakeru. She starts to move closer to him, but Choco comes back. 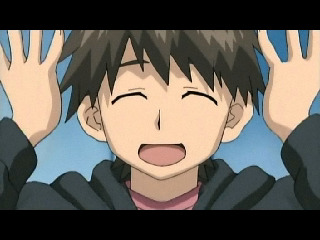 Kakeru then films them. 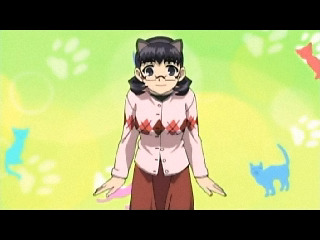 While they watch, Yurika notices that Choco is the films focus but she’s cut off at points. 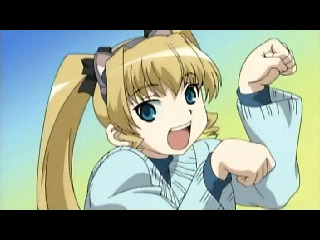 Yurika is angry for the rest of the day and tells Choco that she’ll never forgive her. 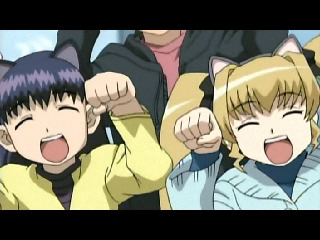 Choco responds by saying that they should both do their best with the Neko Nyan Dance. 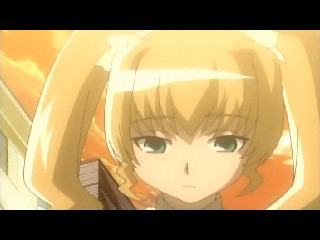 While she and Kakeru both walk home, Kakeru seems to notice that Yurika’s upset. 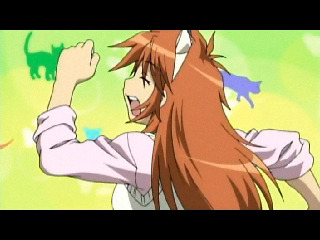 Later, Chitose practices the Neko Nyan Dance. Haruma is also trying to learn it, but has Choco as a very strict teacher. Makoto’s idea of training seems to be watching it on TV while getting drunk. Yurika is even practicing, which her maid takes notice of. This leaves her embarrassed. 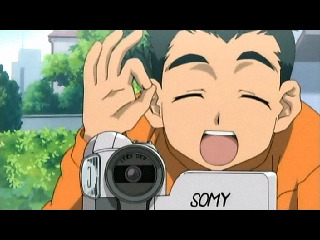 Kakeru uses the camera’s zoom feature to film girls at the bath house, but is caught by Midori and properly punished for it. 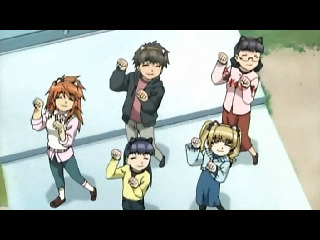 The next day, Kakeru films the whole group doing the dance. 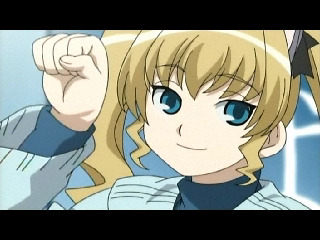 Afterwards, Chitose announces that she made a cake for everyone. Choco invites Yurika to have some too. 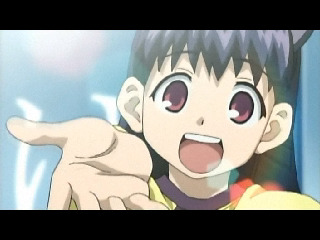 Because Kakeru wants it, she agrees. As they eat, Yurika notices how everyone is having fun. 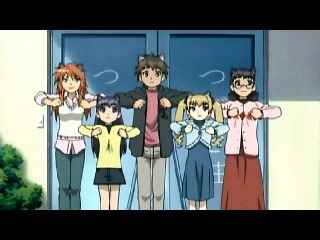 Once it’s time for her and Kakeru to leave, she waves goodbye to Choco. It seems she’s actually letting herself have fun for once. Kakeru finds it a bit strange. Meanwhile, Haruma helps Chitose wash dishes. Chitose has a hard time finding something to say and winds up saying ridiculous things. The cuteness has arrived! Actually, this show is always cute when it’s not being perverted (and even then it’s sometimes cute) but this was an extremely cute episode. I feel that I’ll have a hard time writing thoughts on this episode, because there’s not much to say other than that. It’s noteworthy that Yurika did get a bit of character development and her “relationship” with Kakeru has improved slightly. Kakeru still obviously likes Choco, but at least his noticing Yurika’s existence was a start. There’s still about 6 episodes left (I believe this is going to be 24, but I’m not positive) so I wonder what could happen from here. There’s really not much that I can think of that needs to be summed up. I guess the romantic relationships have to progress a bit, but there’s not much to go with there. Haruma and Chitose have about a 90% chance of getting together now, only because Ayano is hardly a character anymore. There’s absolutely no competition. I guess to improve their relationship, something significant would have to happy between them, so that could be a potential story. Then there’s the Choco/Kakeru/Yurika love triangle. That’s now shifted in favor of Yurika, only because Choco seems to only think of Kakeru as a friend. There all just kids, so I don’t think it can really progress any further. The only significant plot I can think of would be one in which it’s revealed to someone (probably Chitose and/or Makoto) exactly where Choco came from. Next week’s episode is about Makoto and some idol though. No clue what will happen. HOLY CRAP THIS SERIES GOES PAST 13 EPS? ?